In commemoration of Earth Day, Apple on Thursday released an advertisement showcasing the company's efforts to reduce carbon emissions, concentrating specifically on its green data centers. 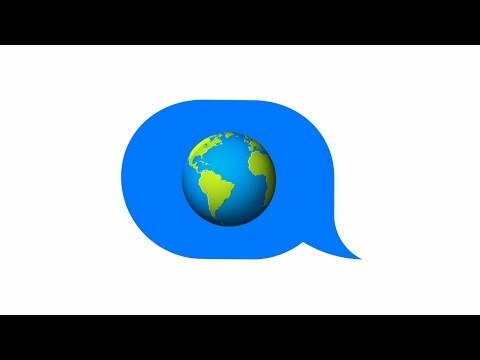 The ad, entitled "Renewable Energy," takes place in a virtual iMessage chat window, complete with familiar blue and grey bubbles, sound effects, embedded maps and emojis. Beneath the clever editing and a toe-tapping tune, however, is a poignant message about the company's environmental initiative. Apple takes viewers through a single message's journey, from phone to data center, while throwing in a few statistics along the way. For example, Apple's data centers are powered by 100 percent renewable resources, including solar, wind, hydroelectric and natural gas. Combined, Apple servers process "tens of billions" of messages each day. And since the data centers are powered by green energy, Apple contends each iMessage sent is the equivalent of showing the earth a little bit of love. Apple's data centers were running on 100 percent renewable energy since early 2013, while the company's most recent Environmental Responsibility Report showed all US operations and 87 percent of international facilities were running on similar sources at the end of 2015. The ad comes one week after many brick-and-mortar Apple Stores changed the leaf portion of their logo green to celebrate Earth Day, a tradition for the company. One day prior, a special App Store section called "Apps for Earth" launched with 27 apps for sale, the proceeds of which are to be shared with the World Wildlife Fund. Now the only missing feature for me is cross-platform iMessage. Apple, by doing this you allow me to delete Kik, Facebook messenger, WhatsApp etc. I can clean up my iPhone. You may lose a few users to Android over this, but I think not only will it be fewer than some imagine, but with that new found freedom you'll see users come over to iPhone from Android. And by far the most important aspect of all of this: you make people with iPhones and Macs lives more seamless and better. Out of the box iPhone users including new ones can message everyone they know or will meet with the best messaging app and emoji arsenal there is. This improves iPhone as a product. And take a leaf out of WhatsApp's playbook and switch to mobile signup and authentication. It's secure and quick and easy. Except then there would no longer be green bubbles to gnaw at iMessagers to plea with their friends & family to GOD WHEN ARE YOU GOING TO SWITCH TO AN IPHONE???! ?